In need of floor plans but can't find the time to make some yourself? We have lots of great partners who can make floorplans for you. From low to high volumes. Object & co is a real estate services company. We work for RE brokers, developers and owners. Services: measurement on location, floorplans, energy labelling, artist impressions, renovation plans, m2 calculation for rental agreements. House-presentation by SooMedia, the one stop shop for every realtor and real-estate company, offers all presentationtools for any real-estate. We make sure the presentation is to its full potential. Go to the website for more information. Prontacasa is a company that transforms ordinary real estate drawings into clear, comprehensible and captivating floor plans. Our architects staff's goal is to provide real estate agencies a useful instrument for promoting their property and buildings. Our comprehensive service includes architectural & interior photography, 360 virtual tours, floorplans, leaseplans, CGI's & web video. We also boast an in-house graphic design team for your brochures, marketing, websites & any advertising. MMAXX.nl provides services in presenting houses for sale in the best possible way. photography, floor plans, sales advice, picture sliders. MMAXX.nl is an initiator of makelaar3.0: websites, social media and Apps for realtors. Zibber is the supplier of marketing tools for realtors. With high service, quality and low prices we offer a wide range of products like photography and floor plans. FloorPlanOnline incorporates the Floorplanner tools and adds complete virtual tour functionality, including video tools, property flyers and brochures, and advanced tour distribution options. Do it yourself or full service service. EN Vastgoed Vision is the only one in the property business offering a total package for real estate for sale or for rent. Our services are targeted at realtors, project developers, housing corporations, etc. Footprint EPCs offerers its services to the Residential Property Market in Bristol, Bath & Somerset. We offer our clients Energy Performance Certificates (EPCs) and Floor Plans which comply with RICS Standard Measurement of Building Works. Open2view is a professional real estate marketing company. We provide professional, twilight, elevated photography, HD video, site plans and floor plans across Australia. We offer real estate agents a fast and easy service to make detailed ground plans. We focus ourselves on the Belgian and Dutch market. Guaranteed is that your order is fully handled within two working days. Drawing- and measuring services for the real estate market / floorplannerservice. Space Database supports commercial real estate by getting more out of drawing data. We measure buildings, create CAD files and calculate area. We then manage the data and keep it up-to-date. We are the perfect partner to provide drawing services. Proven and experienced Floorplanner provider in multiple countries. Well managed in-house production. Online ordering and communication. Fast and reliable at a very competitive rate. The best and most creative real estate presentation office in The Hague region! We are experts in creating a good impression of the property and we use every opportunity available to create an all-round presentation. Because of our personal approach and professional & objective view, we manage to get the best out of the property presentation. The customer is our first priority and we characterize ourselves through service and quality. Floorplans, photography, energy label, and more services. Het Energiehuis (since 2002) is a full service company for technical inspections, floorplans (2D/3D/FML, 1 day delivery), interior photography, 360 virtual tours, BIM-moduling, energy labelling etc. We also provide NEN2580 reports. Please visit our website for more information. Amsterdam-based vibrant studio. Since 2002, our creative and technically skilled team provides architectural drawing services. • Floor plans, 3-D visuals, NEN 2580 measuring, building permissions, any other tailor-made home designs. • One-day turnaround time for floor plans. • Flexibility for each budget. Get a basic or furnished Floorplanner for an affordable price. Homedrawingservice is the easiest way to order your interactive floor plan! 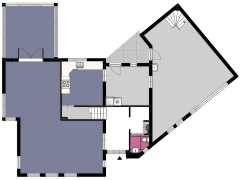 Floorplannerij.nl provides floor plans for real-a-state agents. Floorplannerij.nl is a one-man business. That’s why I always help you personally and for a reasonable price. Houseview is the leading real estate marketing specialist. Our services includes Floorplans, Measurements, Photography, 360 Virtual Tours, Video and more. Also we provide marketing tools like Digital Restyling, Housedressing, Brochures and Websites. Please visit our website for more information. Qbik is a consultancy firm supporting the real estate industry. We offer several services, such as (interactive) 2D and 3D floorplans, artist impressions, NEN2580 certificates, drawing conversions, structural inspections and new construction completions. Visit our website for more info. Zien! is the biggest real estate marketing agency in the Netherlands. We provide everything you need to present your home perfectly. Our affordable, high quality products are delivered fast and efficiently. For more information, please visit our website! Vizzi Media Solutions starts with digital photography and provides virtual tours, floor plans, video, and virtual staging services to the real estate community. Our speciality is real estate marketing and our commitment to customer service ensures you get the very best quality and service. Outsource your floor plans to professionals. Highly customized visuals for real estate businesses made by a scalable team of qualified draftsmen. Vastgoedpromotie turns your sketch into a professional floorplan, from just €12.50. • Basic or furnished floorplans, fully drawn in 2D & 3D! Breuers & Cobelens is an engineering firm with a strong focus on housing associations (in Dutch: woningcorporaties) and property managers. Breuers & Cobelens takes over the worries of housing associations in managing floorplans. HouseVertising is a real estate marketing company specialized in quality products to present your home as complete as possible. Our quality is unmatched. For more information please visit our website. Teken-Visie is premium supplier for brokerage services. We provide Floorplans, real estate photography, 360 virtual tours, NEN 2580 reports, Refurbishment plans & Artist impressions. We make our service complete with energy labelling. The Floorplan Factory (De Plattegronden Fabriek) delivers 2D and 3D floor plans for realtors, building developers and housing associations since 2008. Please visit our website for more information. The most creative real estate presentations company in The Netherlands and Spain. We deliver high quality photo’s, video’s, 360 degree video and photo content, copywriting, floor plans and measurements on location for realtors, short stay rental companies, housing associations and developers. Fast delivery, top notch quality, innovation, creativity and customer service are our core values. We’re specialised in realestate presentation. We can provide anything from photos to video and from Matterport-scan to interiordesign.